If you live in the Brisbane or Gold Coast suburbs, you need to know about termites. Queensland has become a breeding ground for termite infestations and termite damage is now a leading factor in deciding whether to buy or turn down a property for sale. If you who want to know what professionals in real estate and pest control industries are recommending to homeowners, here are 3 things that you should know about protecting your investment. Nicholas Favreau from Pro Pest Control Brisbane recommends every home owner or prospecive buyers to get a timber pest inspection. “We tell our customers with timber framed properties to have yearly inspections done. If you are thinking of buying a property always book a termite inspection prior to sining any contracts” Mr Favreau said. “The presence of termites will desrease the property value signnificantly”, he added. 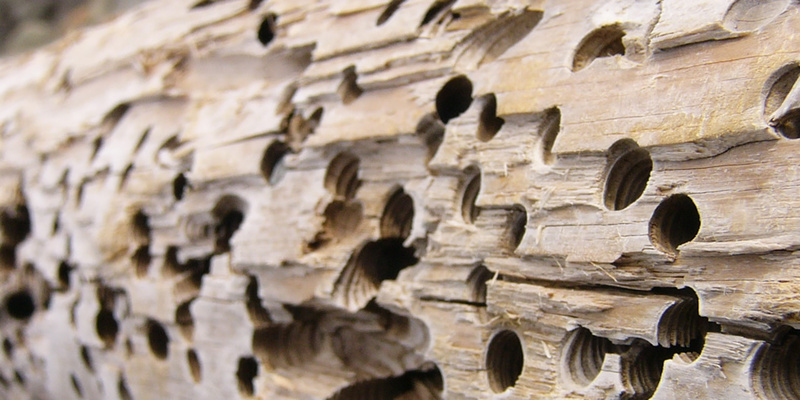 The first line of defense in protecting your investment is recognizing the signs of termites. Homeowners should always make sure that they are looking for problem areas like mud tunnels, skirting boards, and blistering paint. These signs indicate that the termites have begun to eat the wood underneath the surfaces. Because there is also an increased number of infestations in these areas, homeowners must always stay on guard to identify these issues as early as possible. Early detection will not only keep infested areas from spreading more but also save tens to hundreds of thousands of dollars in structural damage. Correcting problems early can avoid issues such as decreased property value. These problems could result in a 25% reduction in the home’s present value and more, based on the situation. Keep the home clean on the inside and outside so that there is no type of debris or other items lying around the home. Dead branches, timber, and other kinds of building materials are definitely problems. They can help to facilitate and breed these environments. To keep an infestation free environment on the outside of the home, all timber and firewood must be stored in a secure place that is lifted up off of the ground. These storage places must also be made of either concrete or metal materials instead of wood materials. These moist areas are great breeding grounds for termites. Therefore, if someone identifies a potential for termite colony development, these environments must be fixed and corrected immediately. Check more here. To prevent unnecessary problems with termite infestations, it is important that homeowners devise a plan. This plan should consist of learning how to identify termites easily, training family members.